Can't cook but doesn't bite." So begins the newspaper ad offering the services of an "A-1 housekeeper, sound morals, exceptional disposition" that draws the hungry attention of widower Oliver Milliron in the fall of 1909. And so begins the unforgettable season that deposits the noncooking, nonbiting, ever-whistling Rose Llewellyn and her font-of-knowledge brother, Morris Morgan, in Marias Coulee along with a stampede of homesteaders drawn by the promise of the Big Ditch-a gargantuan irrigation project intended to make the Montana prairie bloom. When the schoolmarm runs off with an itinerant preacher, Morris is pressed into service, setting the stage for the "several kinds of education"-none of them of the textbook variety-Morris and Rose will bring to Oliver, his three sons, and the rambunctious students in the region's one-room schoolhouse. 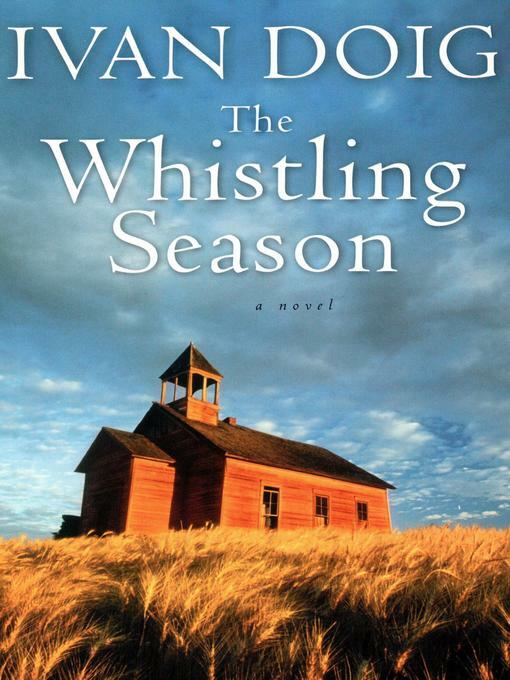 A paean to a vanished way of life and the eccentric individuals and idiosyncratic institutions that made it fertile, The Whistling Season is Ivan Doig at his evocative best.